(Bloomington, IL) – The city of Bloomington has issued a Snow Route parking ban starting at 5:00 PM on Friday, January 11, 2019 due to a forecasted snowfall in our area. Even if your street is not designated as a snow route, all residents are encouraged to park off the street; keeping the streets free from parked cars will allow our plow drivers to perform a more efficient and safer snow removal operation. Our priority is to keep our citizens and city workers safe and sound. Residents can obtain updated information on snow operations progress, a listing and map of all designated snow routes, and the complete snow removal program HERE. 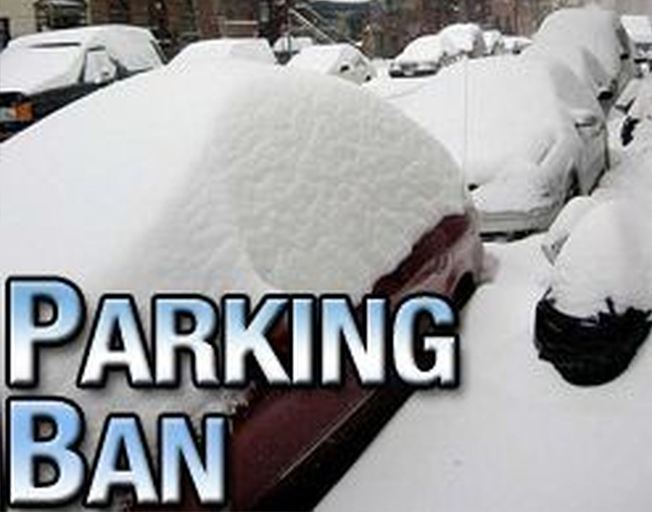 (Normal, IL) – A snow parking ban will go into effect on all streets within the Town of Normal effective at 5:00 PM on Friday, January 11, 2019 and will remain in effect until 3:00 PM on Sunday, January 13, 2019. The police department may ticket vehicles parked on the street. When a parking ban is activated, no parked cars are permitted on any streets in the Town of Normal. Cars must be moved off the streets to a driveway, garage or parking lot. Residents who do no have a driveway or garage must park their cars for free in the parking lots of the towns parks, including but not limited to: Anderson, Fairview, and Underwood. A snow parking ban is activated to allow snow plow crews to clear the entire street including parking areas. For your safety, when approaching operating salt vehicles, stay at least 100 feet behind the equipment. It is inadvisable to pass salt or plow trucks.